Today, the first group of 5th graders Skyped with another class in a mystery state. Students had to ask Yes/No questions back and forth to figure out which state the other class was from. 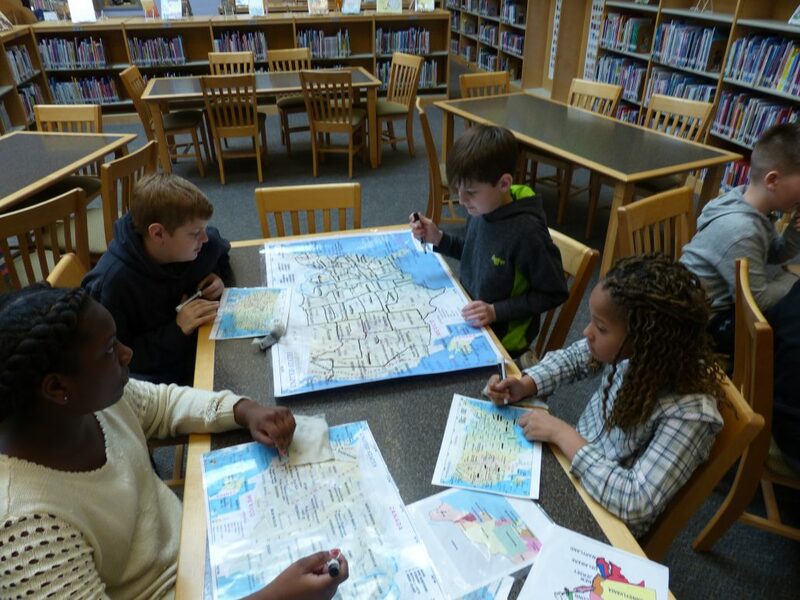 Mrs. Keller and Mrs. Kimbrough have teamed up the past few weeks practicing with the students, learning how to ask questions, researching states and learning how to use a variety of maps. All of the 5th grade classes will have a chance to Skype with different states. The students are already asking to do it again!